We are looking for a few good scouts... but your going to have to buckle up kids because it's about to get awesome around here! We meet every Monday at Westside Baptist Church at 7PM. And this was just last weekend! Make friends. Catch fish. 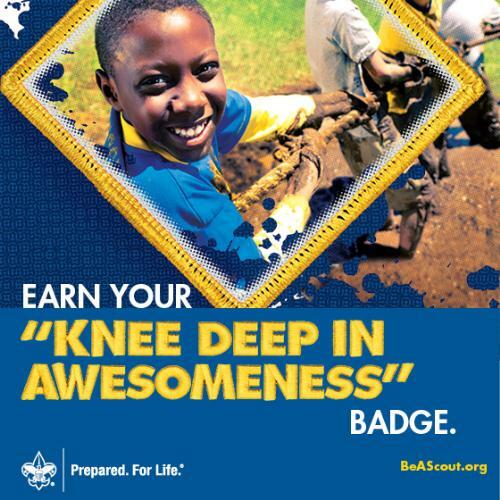 Earn badges. Climb rocks. Explore caves. Take hikes. Visit museums. Launch rockets. Race cars. Roast marshmallows Take pictures. Help people. Discover trails. Ride bikes. Play sports. Learn games. Build character. Gain confidence. Hit targets. Laugh loud. Grow better. Camp out. Work together. Have fun. Your Adventure is waiting, lets build it together. It's more fun with friends!